With an aim to outline our commitment for providing support to released Joomla templates over the years, we have come up with a simple timeline illustrating our approach for future updates and support for the templates released over the past 4 years. Now, since Joomla! release strategy keeps on changing, for our timeline we are using tentative dates for future versions and our plan. Clear outline of the product life. As per the coming up release strategy of Joomla!, "Breaking changes" making upgrade difficult or major changes requiring migration, if required would be happening every 4-5 years instead of current every 2 years (view the new release strategy). This alone extends the life of all earlier released products and gives us the much required time to keep upgrading and updating our vast portfolio of Joomla templates. Go through the two links above and let us know your comments, I would be glad to clear any doubts you may have. Please note: The aim is to assure our members of longer product life as compared with others. 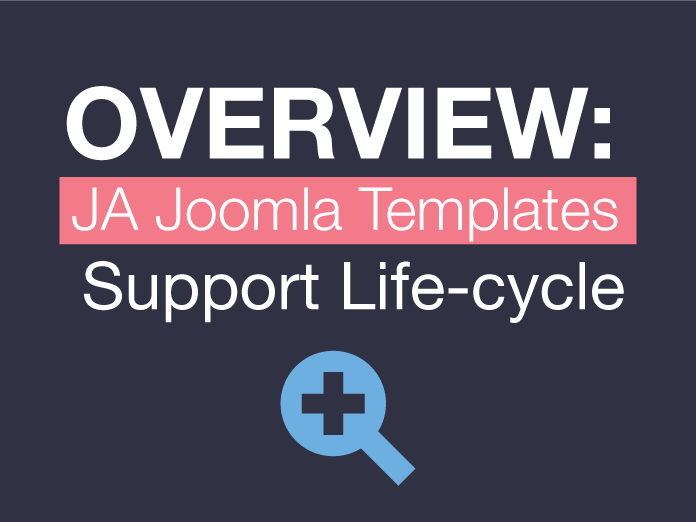 The illustration in the support life cycle chart is for information purpose only and is subjected to changes based on changes to Joomla! release strategy and internal policy decisions.